Discussion in 'Tour archive (read-only)' started by solotwitter, Mar 23, 2016. Unbelievable this gets a headline here. Has anyone checked the providence of this claim? What's next?... "were you sold payment protection insurance by Morrissey? Text '118-fuckwit' to begin your no win no fee claim". It's just a small thing, what's the big deal? People take without credit all the time, especially on the internet, right? The person who owned the 'football boys' photo used in a backdrop also contacted me long ago mentioning never being contacted / asked permission for its use. Seems to be a pattern, surely someone seriously considering running for Mayor of London will want to make sure these 'oversights' are corrected and give credit where it is due. Derek Ridgers, who took the photograph of the skinhead girls used during the Your Arsenal tour, wrote a lengthy blog post some years ago detailing a similar experience. 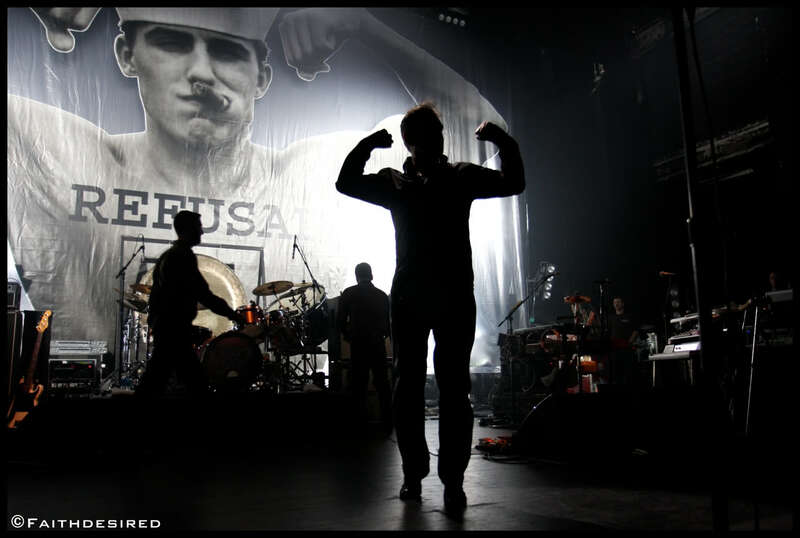 He had given Morrissey permission for one-time use of the photo as a backdrop at a show in France, and when he saw it turning up on tour programs, t-shirts and tour passes, which breached their agreement, he unsuccessfully attempted to seek some sort of reimbursement; he was given the run-around. Moz can't be sued for this because that backdrop was total shite and so obviously Moz was not of sound mind when infringing said copyright of said crap photo. This image has been easily available in Google image search for a very long time. Good luck complaining to them too. If you don't like sharing, don't ever digitize something that search bots can easily catalogue. 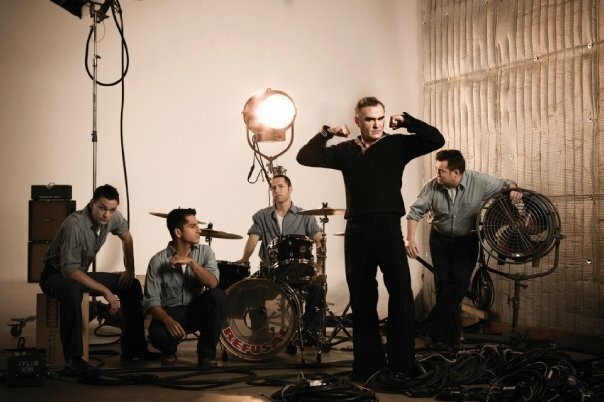 I preferred the pic of Moz imitating the picture surrounded by the band. A pattern? Really? You are pathetic. You couldn't have made your agenda more obvious than in your post above. You know perfectly well what a huge amount of photographs and pictures Moz has used over his career so that you can hardly call a handful of incidents where copyright MIGHT have been broken a pattern. Unless, of course, you are trying again to make a negative story out of nothing. Two wrongs make it right? David, for you to come out as the self-appointed regulator of copyright is more than a bit rich. There are just too many examples of unauthorised use of Morrissey images, his recordings and leaked communiques on your site for anyone to take your right-on comments seriously. I didn't intend to come out as any regulator of copyright, I'm saying if I were going to use someone's photo in that way I'd give credit / contact the source for permission. As far as the site is concerned, I will take down any violations if there is a valid request.